Downings is the place for a relaxing family holiday. Never too warm and always has a moderate climate. 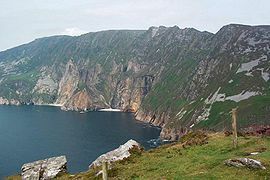 Downings, which is located in North West Donegal, Ireland is one of the most scenic areas on the Atlantic Ocean. And, the facilities on offer for a complete and relaxing family holiday are second to none. One proviso though, the weather. Sometimes the wind gets up but for the serious windsurfer, this is a boost. The area around Downings, including Carrigart, is very much tourist oriented with golden sandy beaches, breathtaking scenery, four golf courses, equestrian center, angling facilities (with various charter boats), sub aqua facilities, indoor leisure center (with swimming pool, gym and sauna) open to the public. The local GAA Club has its own gym, which is also open to the public and they hold various training camps during the summer months. So, to give the parents a break, you can sign up for a week's activities for the children, who will improve their football skills and also learn the Irish language. The Downings beach hosts an annual windsurfing and raft racing competition each August and is an ideal and safe beach for swimmers. Downings also hosts a festival over the August bank holiday with many attractions especially for the younger generation. The Rosapenna Hotel complex includes two quality golf courses and in August each year, you can partake in the open week with prizes galore on offer. In the Rosgoill peninsula, there are four hotels, three independent restaurants and a number of lounge bars and public houses. There are approximately 300 holiday homes in the immediate area. These have been built over a period extending back several years, but there is presently a substantial short fall of holiday properties available. This has been brought about by the seven-year cap imposed on the construction of holiday homes within residential areas. The effect of this limit is that the proportion of holiday homes to conventional residences cannot exceed a maximum of twenty percent. That proportion has largely been reached already in the Downings, Carrigart, Glenree and immediate surrounding areas. The effect of this is that any properties that have prior planning without the residential clause will attract strong levels of demand. The strong demand for holiday homes arises primarily from the development of the several golf courses in the Downings and Rosapenna areas including, in particular, the 36-hole Rosapenna golf course originally designed by Tom Morris. Work has also started on a Jack Nicklaus 36-hole golf course, presently under construction and within approximately 2 miles from Carrigart and 4 miles from Downings. Planning has also been granted for two more large hotels. A marina has also been mentioned as a possibility in Mulroy bay. The majority of the market for holiday homes over the past 10 years has been from Northern Ireland due to its close proximity and accessibility, being no more than about two hours away. A large percentage of these purchasers would have come on holidays here with their parents as children and have now grown up and have young families themselves. The tourist season now extends right throughout the year with holiday homes being in constant use during the summer months and most weekends throughout the winter apart from the month of December. However, this area has now effectively become a Golf Mecca and is likely to attract interest in holiday homes from as far away as America and Japan. Whether a walker, cyclist, golfer, windsurfer, fisherman, diver, you will find that the Downings area will cater for your every need.